EYE BOLTS (OPEN) | zero products inc. 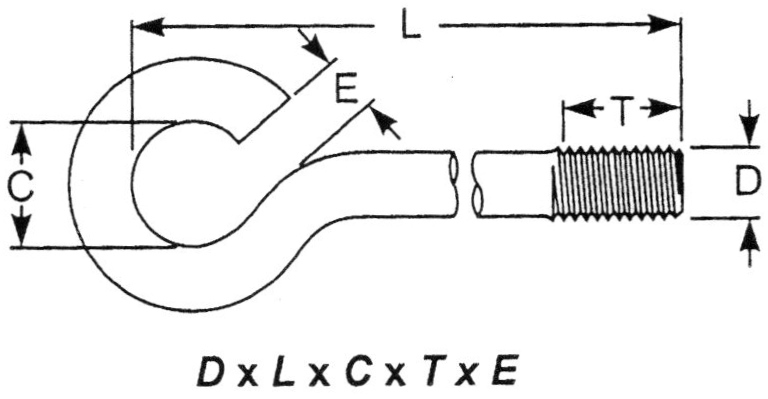 Eye Bolts are bolts that are bent to a loop shape and come with an open loop. We also manufacture all type of eye bolts including ROD ENDS, FORGED, SHOULDER, BENT WELDED AND LIFTING EYES. Zero Products Inc. can manufacture any SIZE with any type THREAD in any MATERIAL and COATINGS you need.